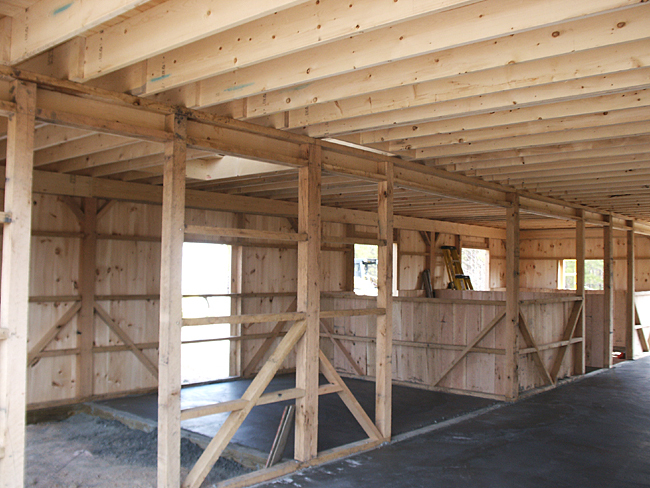 If you are looking for something different than a regular pole barn, you have an option now to have your barn constructed with Oak Frame. Building a barn with green oak timbers requires special knowledge and expertise to make sure that the building's frame is done properly. Not many builders will take on job like this. In fact, most of the builders won't even touch oak lumber and will advise against using oak wood simply because it takes longer to build and requires experience & knowledge working with green wood. If done properly however, barn frame built with oak lumber has a unique, rustic look and will last for many generations. Did you know that when green oak dries and shrinks, it makes the frame stronger? When oak lumber dries, it tightens around all of the fasteners which in turn makes it very difficult to pull a nail or a wooden peg out of dry oak. 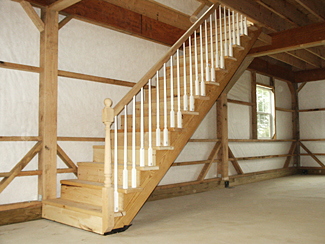 Our builder has close to 10 Years of experience working with oak wood and building barns with green rough-cut oak lumber. In fact, most of our Custom Built Barns shown on our site, were built with oak frame by this same builder. If you are one of many people that like the rustic "Oak Look" inside your barn, give us a call, we'll be glad to give you a quote for one of our buildings or completely custom built barn. 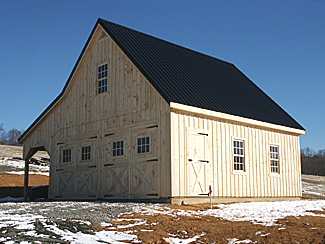 You'll be surprised to find that our prices for oak barns are significantly less than traditional mortise & tennon (timber frame) barns since we use different construction technique & frame design. 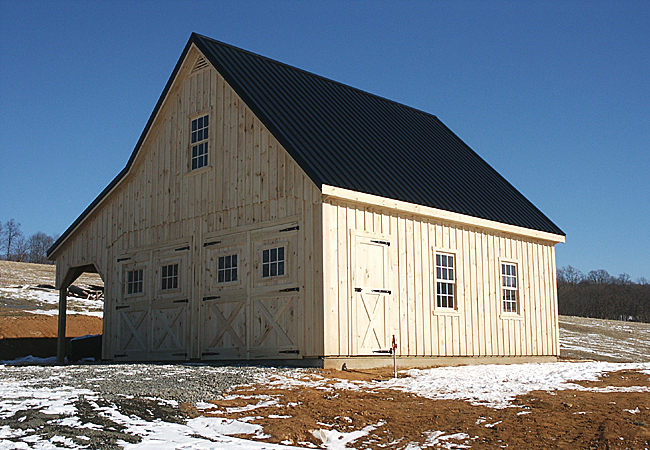 As of now, our builder only builds Oak-Framed Barns locally within 30 miles of Lebanon, PA.